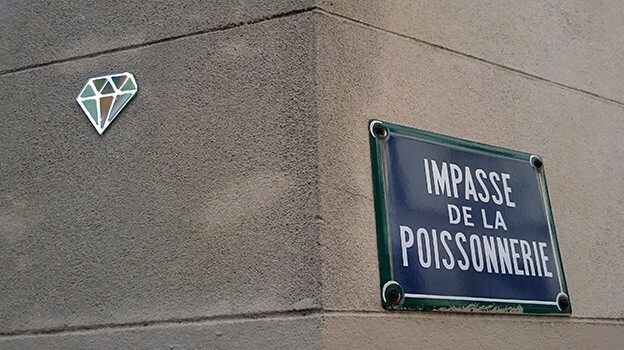 Paris is one of Europe’s hotspots for emerging street art. 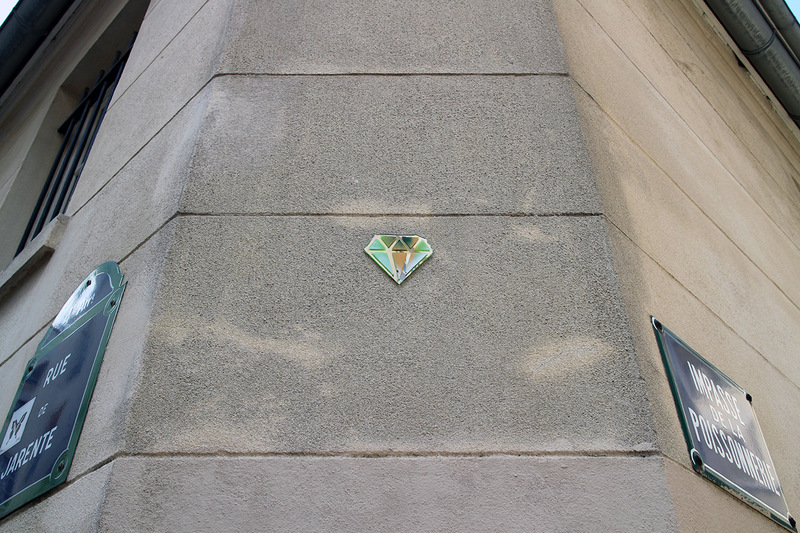 French artist Invader startet to place his Space Invaders in Paris around 1998. 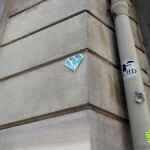 In the following years, Space Invaders appeared all over the world, including some Viennese spots, thanks to an artist-in-residence stay at Museumsquartier. 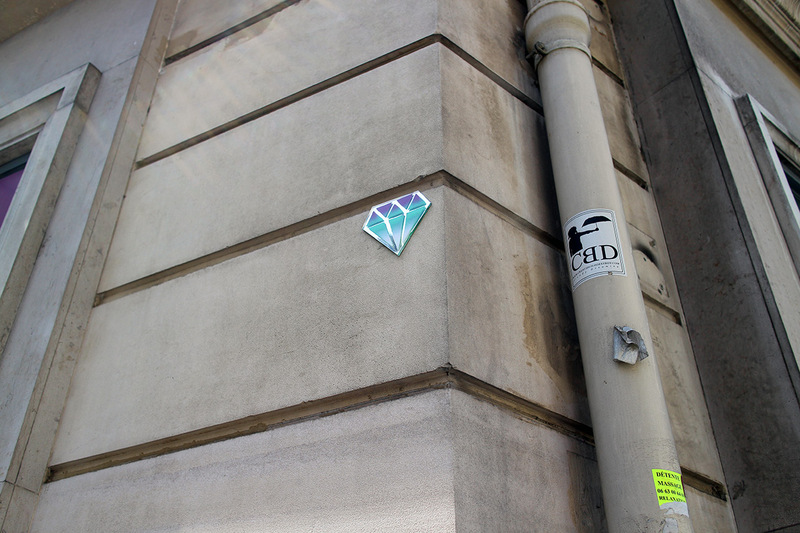 During my recent trip to Paris, I noticed several new pieces of street art all across the city: small, colorful diamond shaped mirrors mounted to walls and buildings. 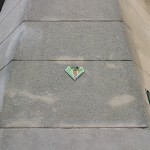 Little gems of street art, whispering a silent, mysterious message across the streets of Paris. “Avec lui, on ne parle plus de Cartier, mais du quartier.” Not a lot can be found out about the artist, but his website Le Diamantaire and his Facebook profile offer interesting insights into his various works.